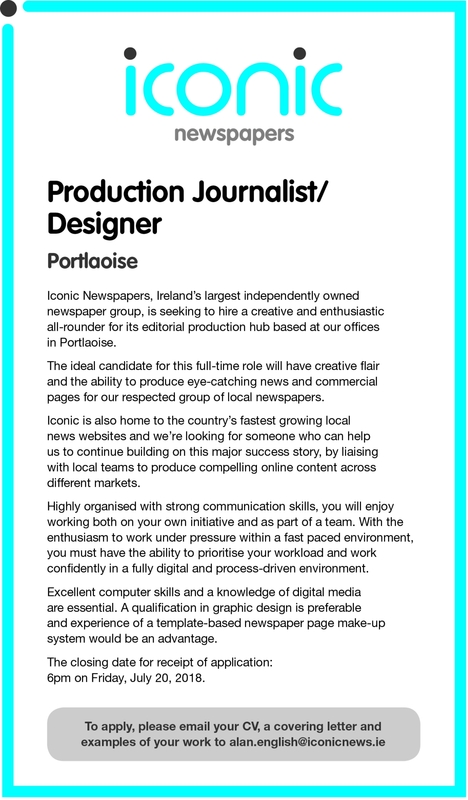 Iconic Newspapers is hiring a production journalist/designer for its busy Portlaoise editorial hub. Are you a creative and enthusiastic all-rounder who can both produce eye-catching news and commercial print pages and help create online content for Ireland's largest independent newspaper group? If so, we want to hear from you. For more details of the role and how to apply, please see below. Closing date for applications is July 20.